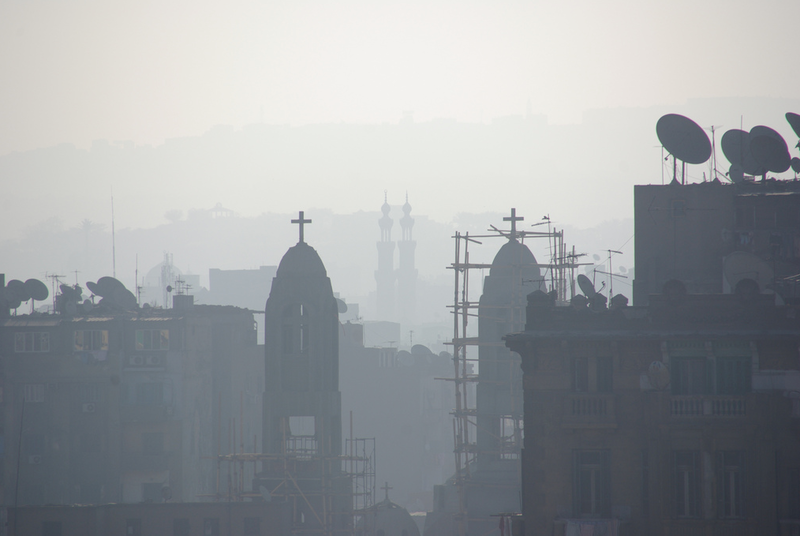 The smoking, clanging, turbulent liturgy of the Copts on Palm Sunday in Cairo was frankly overwhelming. Will they really have anything left for Easter? Not only was every church I went into crammed full, but each had a line to get in extending well outside the church. Incense – shot through with sunlight - was so thick one would think the iconostasis was on fire. Accompanying cymbals lent meandering chants percussive force. Video cameras recording what was going on at the altar table were displayed to the congregation on dozens of screens, a phenomenon of not-to-be-underestimated significance for liturgical renewal. “The church itself is (insofar as it is the church) a fabric of endlessly various ramifications and effoliations of Christ’s beauty, unfolding between two parousiai,” wrote David Bentley Hart, and much of that unfolding is happening in Christian Egypt. Even in a heart-sinkingly filthy rural town outside Cairo, just as one is about to despair of the poverty, one looks up and sees a new Coptic dome presiding, a beachhead in beauty’s war on squalor. There was security at the entrances to the churches of Cairo, as I suppose there needs to be. But even if, God forbid, some deluded individuals were to attack these Christians (as some have lately in Nigeria), total despair would be misplaced. The energy in this liturgy cannot be so easily extinguished. Indeed, any other kind of explosion would be dim in comparison to the clamor of this praise. Terrorists summon fear from their claim that the power they wield is ultimate, which it is not. The deathless one so boisterously exalted in the Coptic liturgy – He is the one with power over life and death. Do we really believe that? 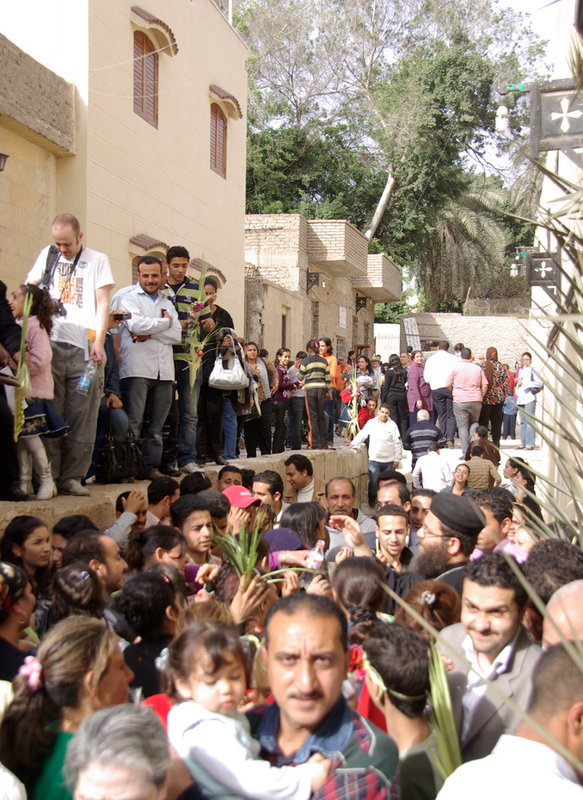 If the energy of their worship is any indication, the Copts certainly do. And yet, the divisions within Christianity are plain in Egypt, which like Germany or England, has this “national church” under its thumb. Coptic Christianity, as I suggested below, is turned in upon itself, due to its somewhat self-imposed historic isolation under Islam. American evangelicals sometimes turn to Orthodoxy in assumption that it remains unbroken, especially contrasted to the four churches on the four corners of the typical American town. 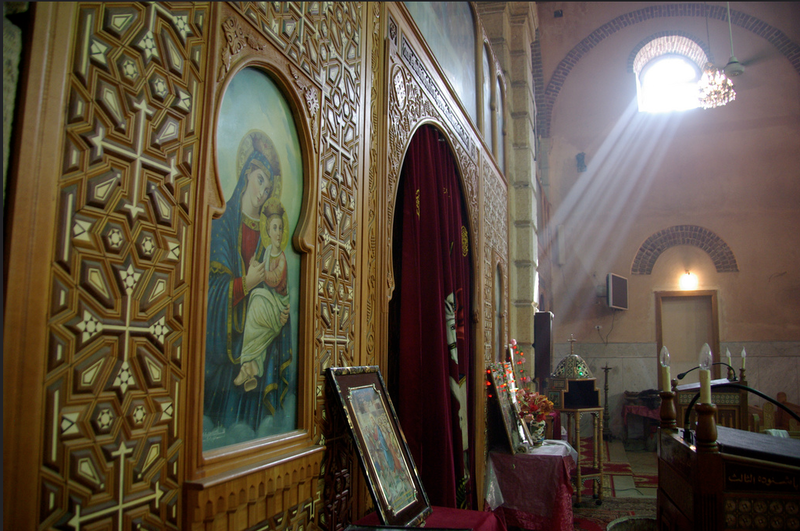 But in Cairo one can find a Coptic church on one corner, and a beleaguered Melkite (Greek Orthodox) church in communion with Constantinople on the other. I approached one such Greek church, and it was in such awful condition that when I tried to open the door (gently mind you), the doorknob came off! Christian divisions are lamentable no matter where they are found. If an Orthodox Christian were to explain to me that the division between Coptic and Greek Orthodoxy is in fact quite permeable, then could I not say the same thing about the divisions between Methodists and Baptists, or Lutherans and Presbyterians? Yes, since 2001, Coptic and Greek Orthodox Christians have recognized each other’s baptisms, but the aforementioned Protestant divisions have been doing the same for some time as well. Perhaps Sarah Wilson is right. Ecumenism should be future-focused. We should be looking for the common faith as it appears across boundaries, and praying for a unity to come (not for a return to a unity that has long passed us by). In this, mirabile dictu, the Coptic Pope Shenouda has been leading the way.